Maptek expertise and software played a key role to capture and digitally preserve Aboriginal rock art in Kakadu National Park for the CyArk 500 challenge. Maptek I-Site Studio software was used to create a 3D reproduction of historical Aboriginal rock art at Kakadu National Park in Australia’s Northern Territory.The CyArk 500 challenge aims to digitally preserve 500 cultural heritage sites using 3D technology within the next 5 years. 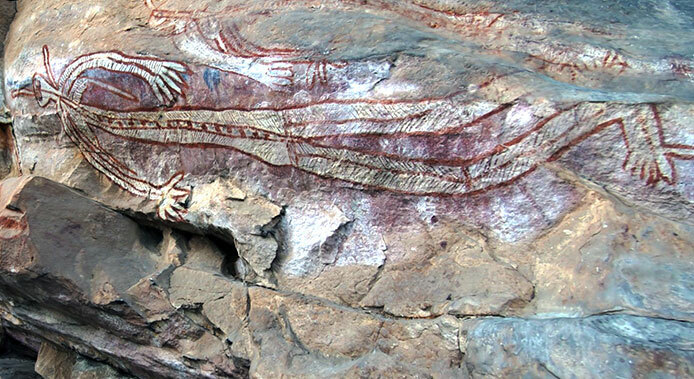 The rock art sites of Kakadu are recognised internationally for their cultural value, and are one of the reasons that Kakadu is inscribed on the United Nations Educational, Scientific, Cultural Organization (Unesco) list of World Heritage properties. The purpose of this project was to preserve Australian cultural and heritage listed artefacts in a reproducible and accurate 3D format. Three locations were scanned during the one-day visit with 17 areas of art captured, each containing multiple pieces. I-Site Studio software was chosen for its powerful modelling tools. The detailed laser scan data contained up to 74 million points. This data was modelled to create an accurate 3D representation of the environment. High definition digital photographs were captured simultaneously to record the artwork. The photo registration tools in I-Site Studio allow photographs from digital cameras and other sources to be projected in any orientation onto a surface. Laser intensity data from the infrared signals was used to match points in photos with points in the 3D scene. This took a 2D photo and turned it into a 3D scene. 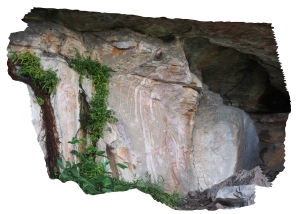 The final results proved that the method is ideally suited for recording and reconstructing rock art.